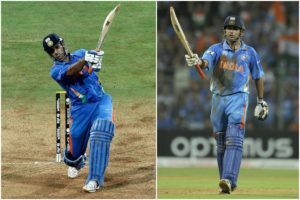 Including 2011 Cricket World Cup Final and Sachin Tendulkar’s last international match, Wankhede Stadium in Mumbai had hosted many high-profile cricket matches in the past years. 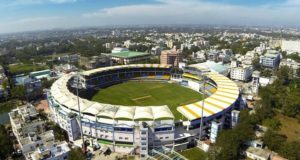 It had hosted the title clash of the VIVO IPL 2018. Despite its development in the era of test cricket, in 1974, it is younger than Eden Gardens and Feroz Shah Kotla. Here we go with some of its details, including the Wankhede Stadium Pitch Report. Capacity: The initial capacity of the stadium was 45,000 which has turned down to 33,108 after the renovation work done during Cricket World Cup 2011. Pitch Report: Made of Red soil, Mumbai’s Wankhede Stadium pitch has always been a slow turner. Over the years, it has been supporting fast and spin bowlers. The familiarity of the Arabian Sea has been helping the swing bowlers in the early hours of any cricket match. Spinners are known to be useful in the last one or two days of the test matches hosted by this ground. The pitch at Wankhede also favours the batsmen as the innings progresses.